SOUTECH has been acclaimed as the finest company providing business intelligence services and helping clients adopt futuristic and growth oriented approach. Global market place is vulnerable to downturn and upswings, hence it is imperative to integrate legacy systems, or manual processes with high end solutions that not only improve productivity, but widen the growth horizon. Our team of business intelligence professionals is capable of understanding, analyzing your business and raising all the tough questions that need instant answers. To offer you the big and clearer picture, our professionals work meticulously on your business data. We help you build a great future by collecting data that is lost or have become redundant. Our business intelligence experts help you monitor mission critical data that includes client information, relations, suppliers, market, and organizational operations to create neat picture and futuristic decision. Our business intelligence experts help you monitor mission critical data that includes client information, relations, suppliers, market, and organizational operations to create neat picture and futuristic decision. Who among them are the profitable ones? Are you able to keep a check on your competitor’s performance? Are you able to meet industry’s performance benchmark? Our business intelligence team has some of the best business intelligence experts who have extensive exposure to various industries across continents. Are you satisfied with the way your existing IT system performs? Are your employees comfortable with the functionalities of your IT system? Are you tired of paying software licenses? Is your IT system congruent with the industry standards –effective and relevant? SOUTECH helps you answer all these tough questions with its robust IT analysis, development, designing and testing mechanism. There are many businesses still struggling with age old IT systems that create redundant data and are vulnerable to security risks. SOUTECH offers its IT consulting services to such organizations that need technologically contrived IT systems to push the growth and performance trajectory. Incompatibilities and inefficiencies act as a bane in disguise that compromise success and hamper productivity as well as growth. The prevailing inefficiencies can create procrastination leading to low performance, distraction from work and increased cost. 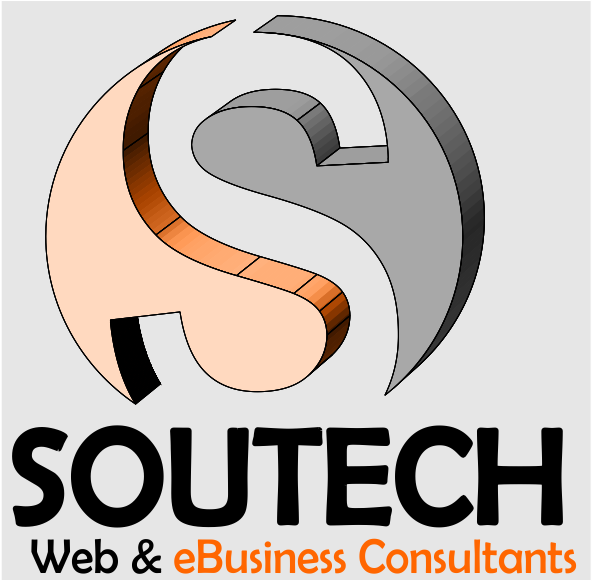 SOUTECH is renowned for its technologically congruent and economically contrived IT solutions. We have been critically acclaimed for our endeavor towards quality, consistent support and consulting. We realize how important it is for businesses to implement new solutions within the defined budget. Let SOUTECH empower your IT system to embrace any future challenge and keep employees satisfied with data efficiency and performance. Be one step ahead! Businesses need to keep upgrading the systems in order to meet the technical requirements. If your existing system is unable to respond to the needs and demands of clients and employees, it is time you upgrade your ineffective and costly legacy systems. For better efficiency and productivity, software upgrade and system upgrade is imperative. While migrating from legacy system to newly built system, it is of a great importance to safely transfer all the requisite data and business processes. It is an important decision to make -financially and business-wise – to migrate from legacy systems or modernize the legacy systems. Your business requires highly skilled and experienced IT partner who have extensive experience in legacy migration of years. SOUTECH is a trusted IT partners that has done numerous successful legacy migration projects for domestic and international clients. Every business is unique, and no two businesses can be same. The processes are also unique; hence it needs a solution that matches its needs from both perspectives – technology and employees. Switching from one system to another is always a daunting job to perform that requires expertise and suiting technology. SOUTECH understands how important it is for businesses to upgrade their systems. We design to the demands of our clients’ business and their employees. Our tailor made solution is affordable and technologically advance. To achieve business objectives, great IT strategy and architecture, organizations heavily bank on information technology. These components are critical to achieving business goals for peak efficiency and rapid growth. It requires high level of IT expertise, technological know-how, and years of experience in software architecture service domain. Barring technological expertise, it also requires a big IT budget. Software architecture acts as a blueprint for the system and the process of development of a project that helps in mitigating design risks quite early. SOUTECH is a leading software architecture service agency with extensive experience in the field and exposure to various industries across continents. We have developed a well orchestrated mechanism to design software architecture for our diverse clients that is affordable and extremely effective. SOUTECH provides software architectural design and development services for legacy / existing systems and new systems. Our experts and professionals are committed to providing quality, yet conforming to the existing technology standards and practices of our client’s organization. Requirements and System Analysis: Our IT experts work diligently with our clients to compose user documents, cases, and stories with thorough analysis and effort estimation. The process will help you understand what it would take to completely realize a solution. Modeling: Our experts are capable of developing UML models that thoroughly describe a system. These models can be delivered at any required level that includes high level logical organization and detailed class method level design. Model/Reference Implementation: We create a spike solution that validates the architecture, tests the feasibility of technical solution, and confers a patter for entire process to follow in the due course of designing. Architecture Reviews – Our team evaluates the existing system designs for scope to simplify or add system enhancements. It is imperative for organization to test their software or applications before they are launched. Many software and application are not tested due to lack of effective tools, resources, and finances that lead to impending risks and ever emerging bugs in the system and its processes. SOUTECH software testing services allow its clients to improve quality, performance, and reliability of the existing system or newly built IT system. At SOUTECH, we offer software testing solutions that provide complete client satisfaction mitigating the business risk making the best use of latest robust technologies available out there. We, at SOUTECH, offer testing services for web applications, desktop software and applications as well as mobile applications. Our software testing professionals are years of experienced with plenty of successfully accomplished projects to their credit. They use some of the best tools available today for testing software and applications. They diligently check and validate your software from functionality, security and usability perspectives. SOUTECH makes sure that the software you have designed is not vulnerable to security issues. SOUTECH is your technology partner that is always with you to help your business with strategic, technological and talent power support. SOUTECH is a partner for all seasons. Our strong team allows you to stay agile, flexible, and ahead of time keeping you technologically up-to-date. Whether you are adding IT staff to the existing team due to a rise of workload or reducing professionals looking at fluctuating workload, SOUTECH confers your business an opportunity to bridge the skill gap in the organization. SOUTECH’ staff augmentation and consulting services get you access to the geniuses of IT domain and development services. We even recruit professionals for you imbibing your work culture.